Massachusetts (TICKETS HERE) will include recognition of five individuals who were part of the early efforts of repatriation and who continued to support the ship through the years. 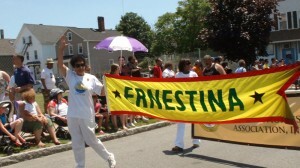 Hundreds of people rallied to support Ernestina in the 1970’s. The effort to return Ernestina to the United States began in earnest after the Cape Verdeans won independence in 1975. The Cape Verdean-American Ethnic Heritage Committee in Providence made the first proposals to the new government and was joined by the “Save the Morrissey” campaign. 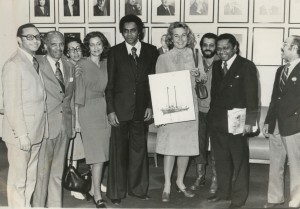 In 1976, the Friends of Ernestina/Morrissey Committee lead by Laura Pires Houston was officially launched in New York. Chapters in the United States, particularly in southern New England, New York and Philadelphia, raised money and procured material and expertise for the Ernestina project. The rest is history! For more information check out the timeline or get a copy of Phoenix of the Seas. Julius Britto was active in the National Friends of Ernestina/Morrissey as a charter member (Wareham/Cape Cod Chapter). He was appointed to the First Commission and served as chairman. In 1982, he was chosen as executive director of Ernestina-Morrissey Historical Association. He served on the Schooner Ernestina Commission Finance Committee in 2008 and is a charter member of Schooner Ernestina-Morrissey Association, Inc., currently serving as president. Representative Thomas D. Lopes sponsored the legislation establishing the Schooner Ernestina Commission in 1978. He was very active telling Ernestina’s story and engaging supporters through Cape Verdean News. Tom visited Cape Verde with CVN cable to record the work on Ernestina and her departure. 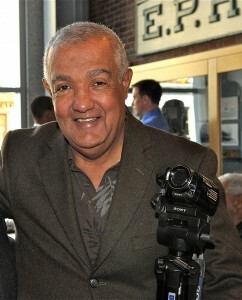 He later produced the film “Mystery Lady” from his Cape Verdean footage. As the internet came into popular use he shared his videos on his video channel. 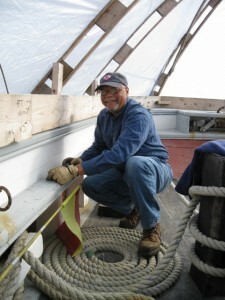 Tom was still documenting Ernestina in at the 2010 Forum and in December 2011 video-recording the masts being removed and producing YouTube videos on his channel. He was a true advocate of Ernestina until his death. Laura Pires-Hester, Ph D met Michael Platzer and became involved with the idea of repatriation in 1974. She was founder and first chair of National Friends of Ernestina/Morrissey. She became president of Ernestina Morrissey Historical Association. Laura and Michael Platzer wrote a commemorative edition of a history “Ernestina—Effie M. Morrissey” in 1982 to celebrate the repatriation. Appointed to the Schooner Ernestina Commission 2007, she organized celebration of 25th anniversary of repatriation and organized a Forum in 2010 to gather all Ernestina’ constituencies. Again, with Michael Platzer, she presented at the Sailor Series at Whaling Museum in 2011. A Commissioner since 2007, she was elected Chair in 2010 and served until May 2017. 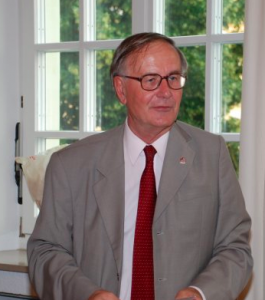 Michael K. H. Platzer was involved with the idea of repatriation before Cape Verdean independence who worked in the Office of Technical Assistance, United Nations, Cape Verde desk. National Friends of Ernestina/Morrissey charter member. Michael and the then Laura Pires-Houston wrote a commemorative edition of a history “Ernestina—Effie M. Morrissey” in 1982 to celebrate the repatriation Again, with Laura, he presented at the Sailor Series at the New Bedford Whaling Museum in 2011. 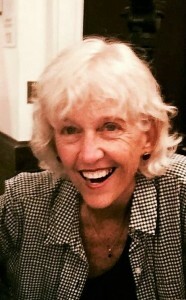 Margaret D. Xifaras, as Senior Advisor was assigned by Governor Dukakis to work with the new Schooner Ernestina Commission. She worked with Julius, chair of the Commission, on plans to return Ernestina to New Bedford. Her liaison work invaluable as the Commission worked with the state government as well as the Cape Verdean government and Representative Gerry Studds in the US Congress. Most recently she has helped SEMA and Commission, communicating with the Patrick administration. She also has rounded up work crews to volunteer on Ernestina during “Lend a Hand” Day with the National Park. This entry was posted in Fundraising Committee, Historical Resources, News. Bookmark the permalink.